Laid down, 3 September 1943, at Missouri Valley Bridge and Iron Co., Evansville, IN. 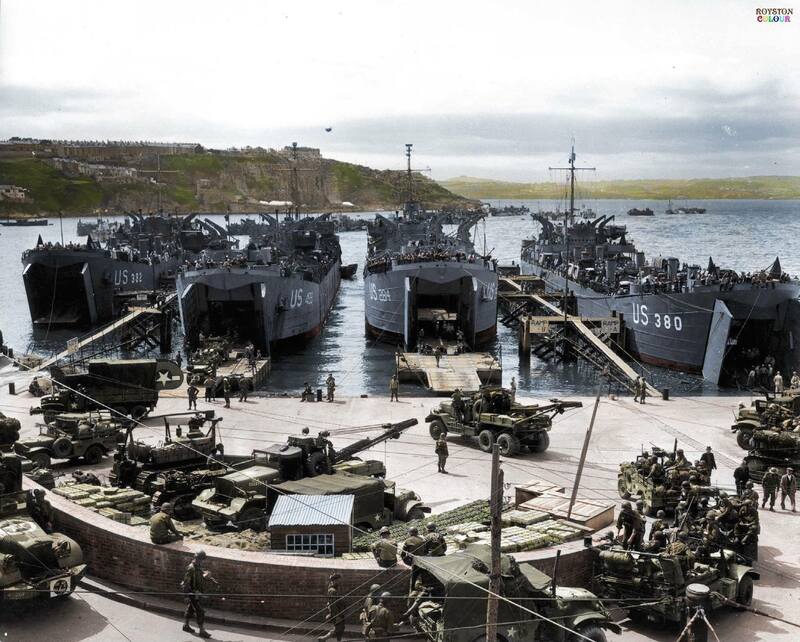 472k From right to left; USS LST-380, USS LST-284, USS LST-499, and USS LST-382 at Brixham Harbour, England, 1 June 1944, loading up with equipment ready for the cross channel invasion. 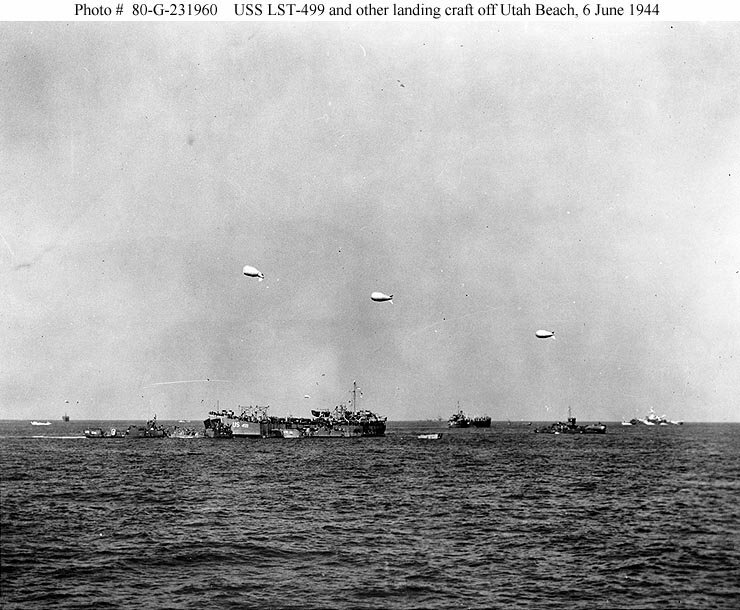 109k USS LST-499 and other landing ships and craft off "Utah" Beach on 6 June 1944, with barrage balloons overhead. The British monitor HMS Erebus is in the right distance, painted in pattern camouflage.